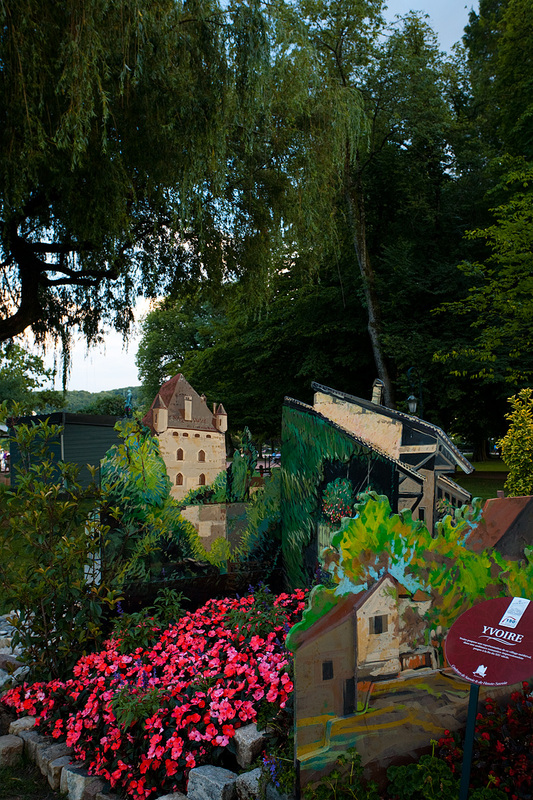 A castle near the Annecy lake. Scroll down to see a wider photo of the same scene. 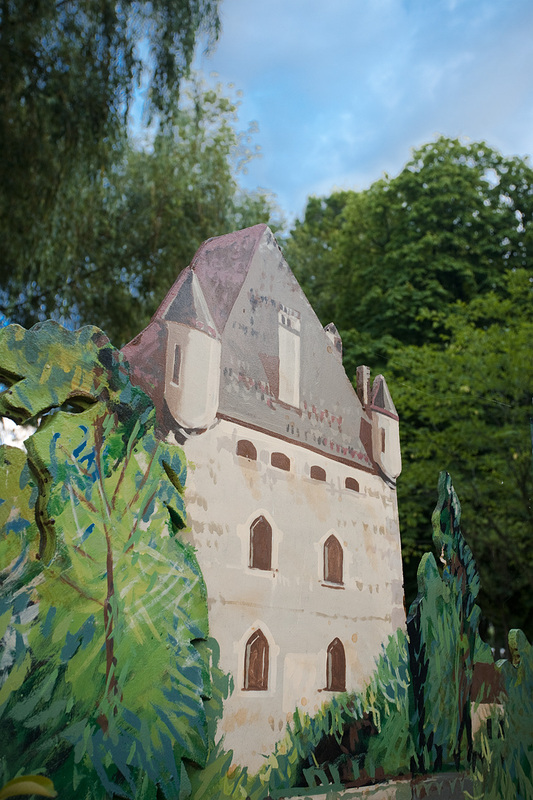 A miniature cutout of a castle displayed at a park by the lake.